Political energy, less red tape or simpler design can speed projects. So can money, say, from the federal government. Disputes about track alignments, inaccurate cost forecasts, elaborate stations or tunnels, or a recession can create delays. 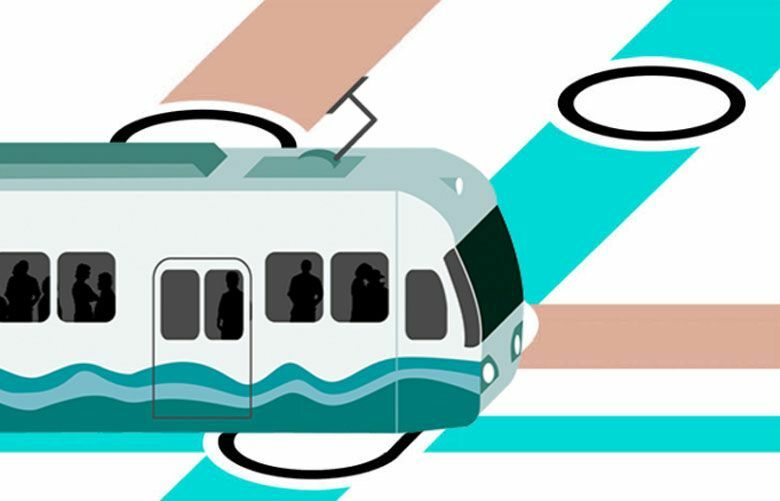 Now that voters have approved Sound Transit 3 for a quarter century, the question will come again: Is there a way to build the new train and bus lines faster? For his part, transit-board chairman Dow Constantine called official timelines “conservative” and said he hopes to beat targets such as 2030 for light rail to West Seattle, 2035 for Uptown and Ballard, or 2036 to reach Everett. Dates like these are placeholders that often change in megaprojects around the world, typically for the worse. But after a near-collapse in 1999-2000, Sound Transit wrote realistic cost and schedule targets, and generally is meeting those. Political energy, less red tape or simpler design can speed things. So can money, and $54 billion in ST3 is quite a bit. Alignment disputes, poor cost forecasting, elaborate stations or tunnels, or a recession can create delays. Rogoff is arguably the nation’s most knowledgeable person about how long a transit megaproject takes. He headed the Federal Transit Administration (FTA) before being hired here in December. Another factor helping ST3 is the slack in financial models. Early-project estimates include 50 percent “contingency” for costs to rise during engineering and construction. Bond-interest rates are around 3.5 percent, but the plan assumes Sound Transit (ST) will pay out 5.3 percent to borrow money. There’s room for things to go somewhat sour, without derailing projects. Money cures a multitude of ills. The Highway 520 bridge’s west connections are being built now using federal loans, while Sound Transit says $29 million in grants helped the new Angle Lake Station open four years earlier than forecast. Higher sales, property and car-tab taxes start in January, but an infusion of federal money along the way would reduce the need to wait until more local tax dollars accumulate. Federal money also would allow Sound Transit to borrow less and ease strain on the financial plan. ST3 assumes $4.7 billion in federal aid, roughly 13 percent of the $35 billion construction costs. Previously, light rail secured more than $2.5 billion in grants and a $1.3 billion low- interest loan, collaborating with FTA and Sen. Patty Murray, D-Wash, during the George W. Bush and Obama administrations. However, the 2016 GOP platform favors limiting transportation funds to highways. “We propose to phase out the federal transit program,” it says. Sound Transit says, historically, it’s taken one to three years to study alternative alignments, then four to six years to complete environmental reports and engineering. That’s the best place to save time, transit staff say, compared with faster construction that would require noisy night shifts or added costs. Everett, Lynnwood and Snohomish County signed an agreement in May to quickly approve stations, tracks and park-and-ride garages, should ST3 be approved. The memo contains mostly soft language about intent. But there’s a specific goal of issuing land-use permits in 120 days or less. “Expedited permit processing shall begin on the next working day” whenever new applications are filed, it says. “We pulled together in Snohomish County to try to come up with the same expedited permitting and planning systems that we used for aerospace, to bring two airplanes, the 777 and the 787,” to Paine Field, said transit-board member Paul Roberts of the Everett City Council. In the spirit of moving quickly, Sound Transit already released an environmental study for the ST3 Angle Lake-Federal Way light-rail line. 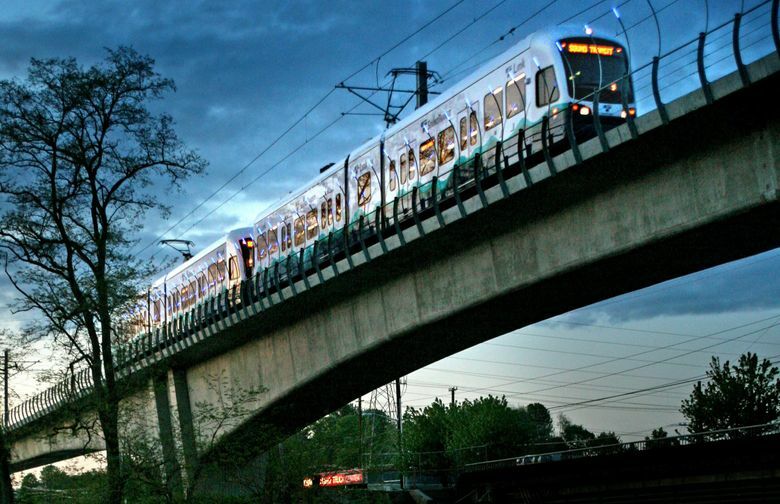 A board committee Thursday endorsed a $14 million ST3 contractfor preliminary engineering of the Overlake-Redmond line. Both are aimed to open in 2024. Seattle City Councilmember Debora Juárez, who led efforts to include a 130th Street Station at Interstate 5 and Northeast 130th Street serving her district, won’t be content with waiting until 2031. Upon taking office last January, she wanted the 130th Street station added to the upcoming Lynnwood light-rail project, which had been approved by voters in 2008. Rogoff resisted the late change because the federal government had already given the go-ahead for final engineering for the Northgate-Lynnwood line, and he feared losing a $1.2 billion federal grant if late changes were made. But the ballot win revives this question of saving up to eight years. “I sense a real opportunity to make the station happen sooner than currently planned,” Juárez said. It would be about $25 million cheaper to build by 2023 when Lynnwood service starts, compared to later as an infill station, a transit-agency letter says. The ST3 plan currently assumes Ballard Station would be reached by a Salmon Bay drawbridge, despite a community coalition’s request for a tunnel. A Salmon Bay tunnel, and connecting spans over BNSF Railway yard, would require a possible $450 million extra. West Seattle might also demand a short tunnel. Would changes like those take longer? Aerial design and construction, accomplished in four years from the airport to Angle Lake, is quicker and less than half the price of tunneling. On the other hand, an early decision to tunnel could reduce land cost, and time-consuming neighborhood backlashes or disputes over who pays what, as happened in Bellevue when Sound Transit left the alignment vague in the 2008 election, then bargained with the city for two years. Seattle Mayor Ed Murray and other leaders stress the need to improve buses, as an early gain for riders during the long wait for rail. ST3 includes $227 million: for hardening the highway shoulders on Interstate 5 so express buses can run on them; to help Seattle pay for Madison Street bus-rapid transit; and to improve RapidRide bus routes to West Seattle and Ballard. A “show me” attitude makes sense, as Madison is part designed, I-5 in talks, and the RapidRide work unspecified. A future Highway 99 exit at Dearborn Street, now being built by the state, will include a northbound bus lane aiding West Seattle commuters, perhaps in 2019. ST3 bus-rapid transit on Interstate 405 and Highway 522, instead of rail, is due in 2024. State transportation secretary Roger Millar said there will be more freeway flier stations, special stops for efficient transfer between local and express buses, and some shoulder lanes for buses. However, buses on I-405 must coexist with unstable traffic in the express toll lanes. To build fully independent bus rapid-transit lanes, like the premier systems in Guangzhou, China, and Bogotá, Colombia, would require far more land and money.